Despite super-agent Jorge Mendes’ confirmation that James Rodriguez is not leaving Real Madrid in January, Manchester United are still hopeful they can secure the deal because of their absence in the Champions League this season. It’s a fact that any deal in the middle of the season would be highly improbable, as any top club interested would not be able to use James in the Champions League, but for Manchester United, that wouldn’t be an issue. The player, who would be welcomed by an already large Spanish-speaking group at Old Trafford, would be used in the Europa League’s latter stages, and could become an important asset for Jose Mourinho, as the United boss is keen to carry on recent good form to close down the gap on the top four. Reports from last week had claimed the Colombian was on his way to England in January, after he was spotted at the British Embassy in Bogota ahead of Christmas. United were even tipped as strong favourites for his signature, after Chelsea were not ready to match Real Madrid’s £60m valuation for a player struggling for minutes at present. However, the self-imposed deadline to discuss a possible move away from Real Madrid has now passed, with James Rodriguez’s future still looking as uncertain as ever. 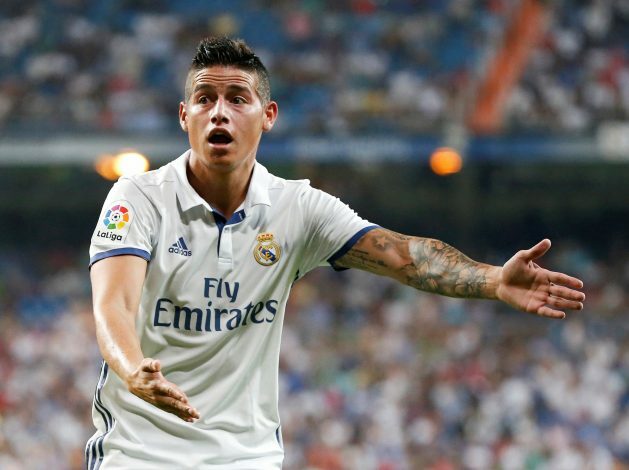 While speaking after Real Madrid’s Club World Cup win against Kashima Antlers on December 18, during which James was forced to see the action from the bench, the Colombian admitted that he had plenty of offers to leave Madrid and had seven days to finalise on a possible departure. And yet, that time period has now passed without any positive developments towards one side or another. But one thing’s for sure, that Real Madrid hierarchy is not at all happy with the midfielder’s off-message skit in the middle of a joyous moment for the club.